Part four of our 2017 Los Angeles Auto Show review highlights new models from Subaru and Tesla, plus a new concept vehicle from Toyota, and electrifying news from Volkswagen. 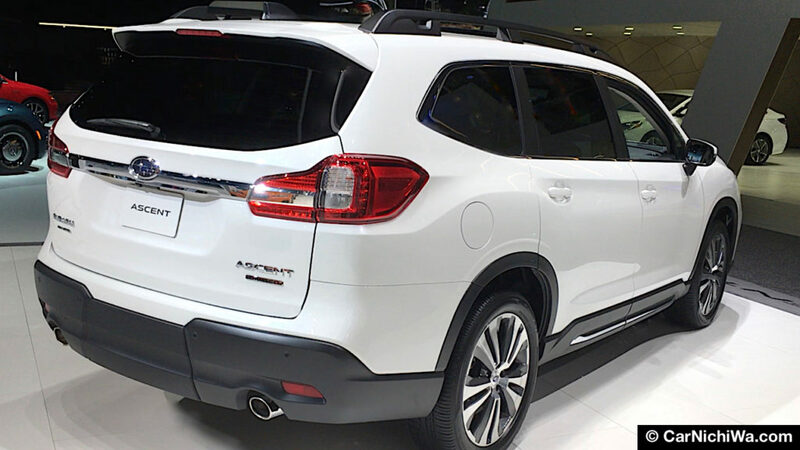 Subaru introduced the production version of its new Ascent three-row crossover scheduled to go on sale next summer as a 2019 model. Larger than the five-passenger Outback, Ascent will offer seating for up to eight passengers. We had the chance to crawl around two prototypes of the new Subaru Ascent at the L.A. Auto Show. 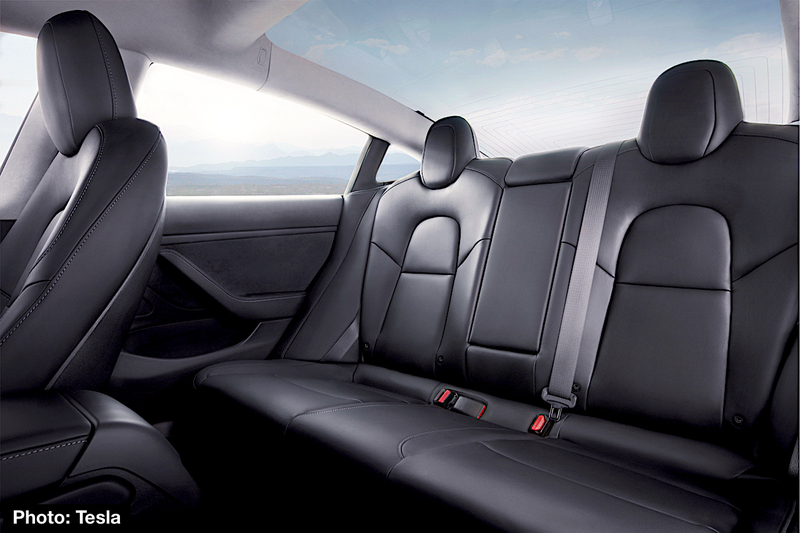 The first car in our video is the top-line Touring model equipped with second-row captain’s chairs. At the front, Ascent looks similar to the Outback with a big, hexagonal grille and C-shaped headlights. The side view reveals a much larger vehicle that rides on a 113.8-inch wheelbase, about five inches longer than the Outback. The rear view highlights Ascent’s sporty good looks, wide stance, lower body cladding and large tailgate. Subaru’s Symmetrical All-Wheel Drive with Active Torque Vectoring is standard along with 8.7-inches of ground clearance and up to a 5,000-pound towing rating. A new turbocharged 2.4-liter 4-cylinder boxer engine puts out 260 horsepower and 277 lb.-ft. of torque. Subaru’s Lineartronic Continuously Variable Transmission includes an “8-speed” manual mode, paddle shifters and X-Mode® along with Hill Descent Control. 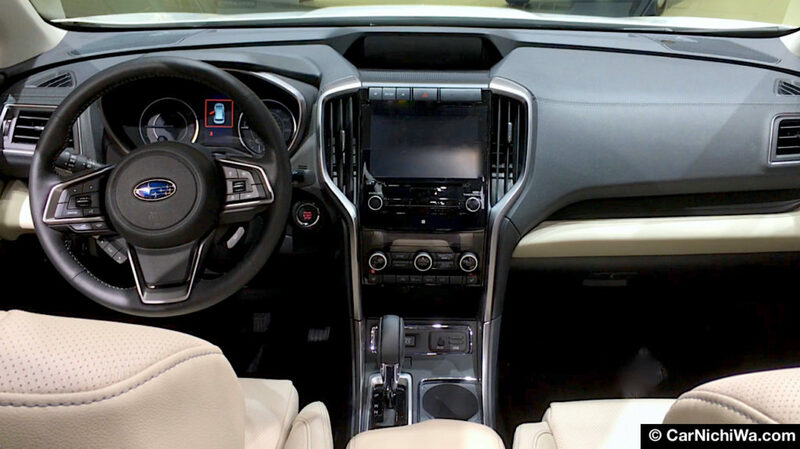 The cabin offers three-zone climate control, Subaru’s Starlink™ multimedia system with Apple CarPlay™ and Android Auto™, plus 6.5-inch or 8-inch touchscreens and Wi-Fi connectivity. Standard EyeSight® Driver Assist Technology includes Automatic Pre-Collision Braking, Adaptive Cruise Control and Lane Departure with Sway Warning. While the Tesla Model 3 is still a rare sight on the street, it attracted lots of attention at the automaker’s exhibit in L.A. As the most affordable model in the lineup of electric cars, Tesla will be busy filling hundreds of thousands of orders. We made a quick video walkaround of the exterior of the new Tesla Model 3 at the L.A. Auto Show. This was our first chance to get up-close with the new electric car. Tesla says the standard Model 3 starts at $35,000, has a quoted 220 mile driving range, goes 0-60 in 5.6 seconds, and a top speed of 130 mph. 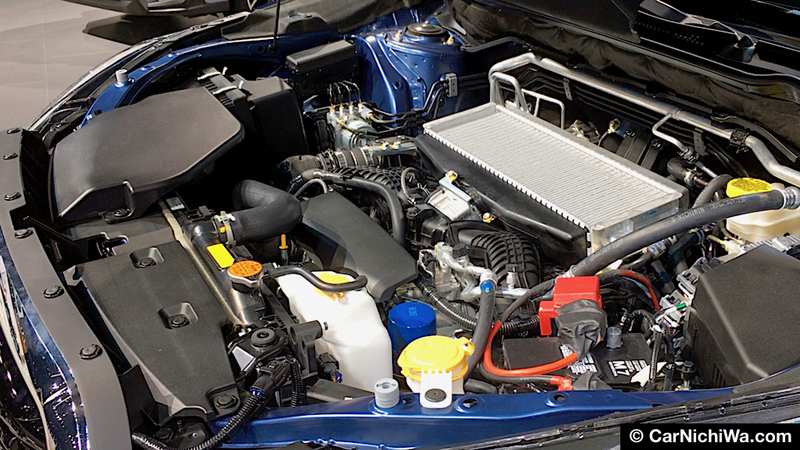 For about $44,000, a long-range battery increases driving range to 310 miles, 0-60 drops to 5.1 sec. and top speed is boosted to 140 mph. The cabin sports a 15-inch touchscreen display, dual-zone climate control, FM/internet streaming radio, and textile seating surfaces. 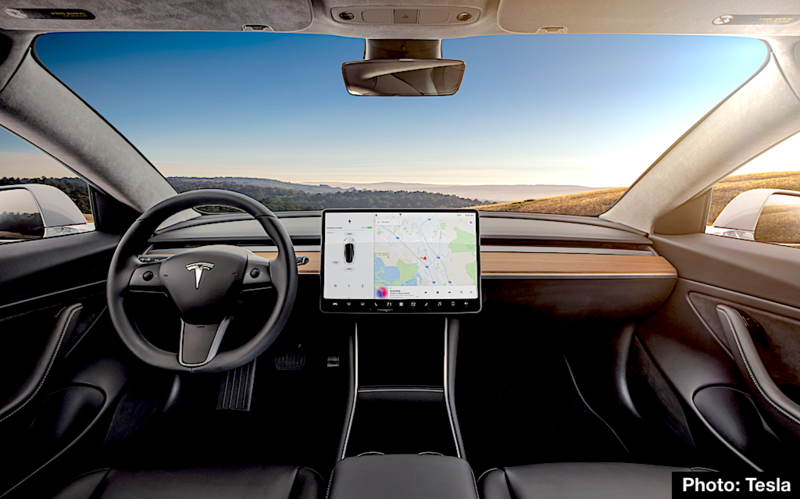 Other features include onboard maps and navigation, Wi-Fi and LTE internet connectivity, and remote climate control using the Tesla app. 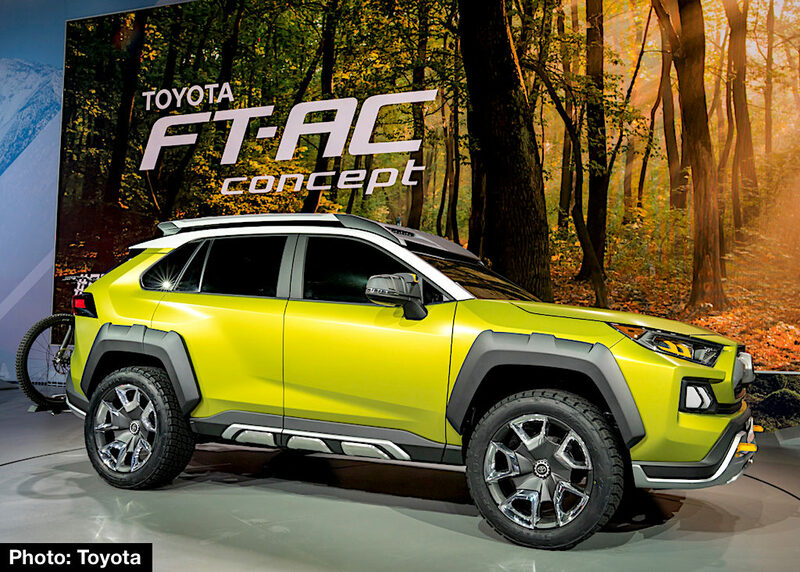 A Future Toyota crossover might look like the FT-4X concept that made its debut at the New York Auto Show earlier this year. Or it could be similar to the TJ Cruiser concept that we saw at the Tokyo Motor Show in October. Toyota’s latest forward-thinking concept revealed in L.A. is called FT-AC. Our video highlights the bold exterior of the new FT-AC. The Future Toyota Adventure Concept is fitted with an integrated bike rack and a mountain bike to explore the great outdoors. Dressed with Prospect Green paint and Fortress Gray accents, FT-AC wears oversize fender flares and 20-inch alloy wheels with all-terrain tires. High-tech features include infrared cameras in the outside mirrors and Wi-Fi connectivity. While Toyota didn’t announce powertrain specifics for the concept, it did say FT-AC could offer features like torque-vectoring all-wheel drive, variable terrain-response settings and 4-wheel lock, along with an optional hybrid powertrain. 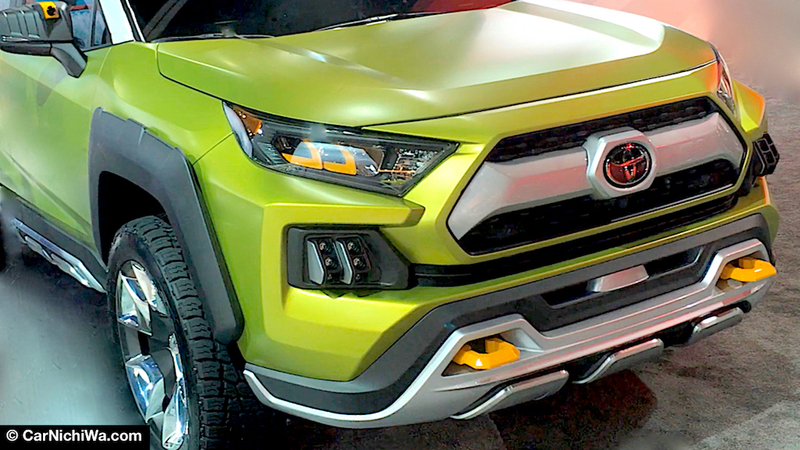 The bold grille and front fascia reminds us of 4Runner’s rugged good looks. LED fog lights are designed to be removable and could be attached to a mountain bike for lighting up trails. A new compact EV crossover based on the I.D. CROZZ concept is headed for production in 2020. 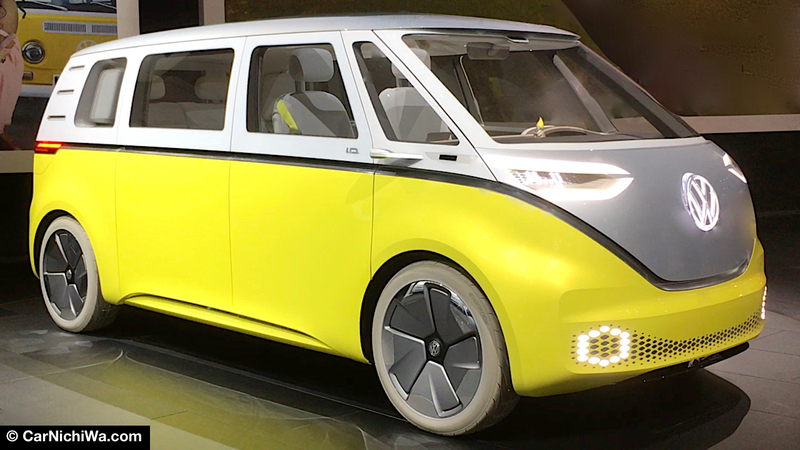 Volkswagen says it will be followed by a new EV Microbus based on the I.D. BUZZ concept in 2022. The I.D. CROZZ concept is about the size of the current VW Tiguan while it features a more fluid coupe-like silhouette and employs a full EV powertrain. I.D. CROZZ has an 83-kWh lithium-ion battery pack and 4MOTION system with two electric motors to power the front and rear wheels. Volkswagen says the concept puts out 101 horsepower for the front motor and 201 hp for the rear; has an anticipated range of 300 miles, and recovery of 80 percent of its charge in 30 minutes via a 150 kWh DC charger. 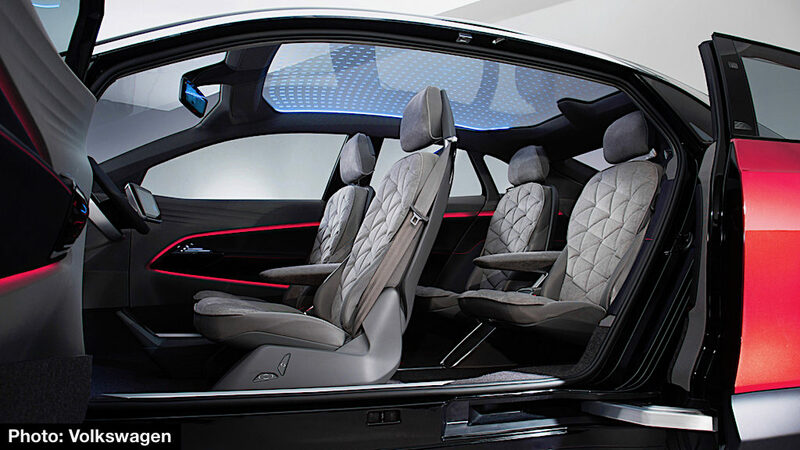 The concept’s flexible interior features an electronically adjustable and retractable steering wheel, Active Info Display, electronic rearview mirror, heads-up display and 10.2-inch centrally mounted touchscreen. Also included is the I.D. Pilot self-driving system that VW says it plans to offer in 2025. Also on display in L.A. was the I.D. BUZZ concept that we last saw at the Tokyo Motor Show in October. With its iconic design, the EV concept continues to attract attention at every auto show. If the production model slated for 2022 looks similar to the concept, we expect to see lots of these future-retro vans cruising the beaches and boulevards of L.A. Note: Features, specifications, prices and launch timing for U.S. market production models in this story are subject to change without notice.